Exclusive Designed & Manufactured By Us! 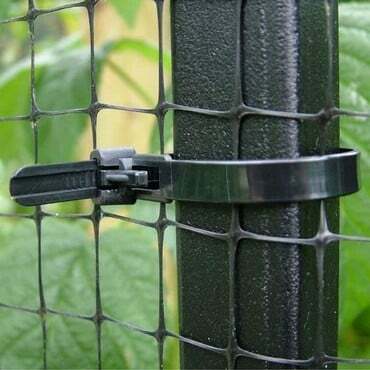 All Pond Cover Kits come complete with framework, connectors and netting. 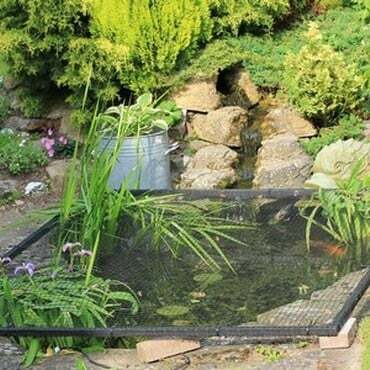 Keeping leaves and other plant debris out of your pond has long challenged gardeners and fish enthusiasts, but our Raised Steel Pond Covers provide the perfect solution. 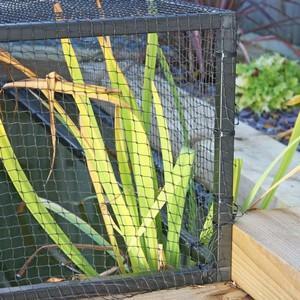 Combining the strength of black, polyester powder coated, galvanised steel with the protective qualities of our 19mm mesh knotted netting, the steel pond covers effectively keep leaves and debris out of your pond and helps to protect fish too. 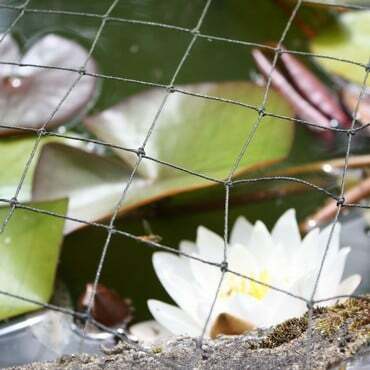 Falling leaves decompose and cause algae to flourish but thanks to the Raised Steel Pond Cover designs - available in a wide range of sizes from 1.5m square up to 3.5m square - cloudy water could be a thing of the past! 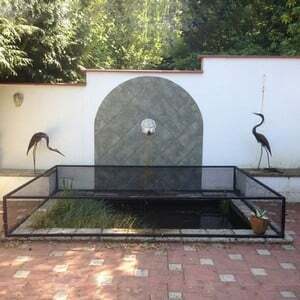 Herons and other fish predators will also struggle to penetrate the knotted net and the steel framework blends into the garden background. 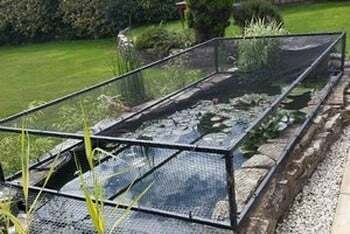 Please note that the Steel Pond Covers are not designed or guaranteed to prevent children or pets from falling into ponds, and young children should always be supervised near garden ponds or water. 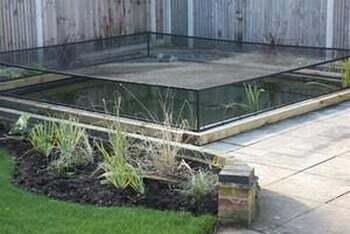 *Please note that our Steel Pond Cover sizes are generous and where space is limited please allow an extra 2% to the measurements for fitting. complete our simple online quotation form - for a free no obligation quote - please allow 5-7 working days for quotation. 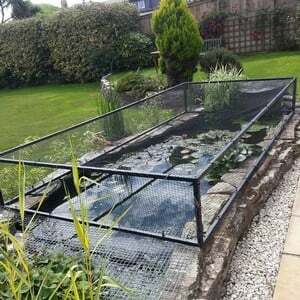 The harrod raised steel pond cover was well priced and arrived at the earliest date possible following online order. Being 2 weeks short of an 88th birthday my biggest challenge, being on my own, was transferring the 3.5m steel side bars from front door to garden! Single handed assembly was achieved very quickly and, after some planning and forethought, net attachment was straightforward. Shaping up and tacking the net with the provided twine was done in an hour or so voer a couple of days. Living 6 miles from both Wanstead Park and The Lea Valley (both of which have heronries) I have spent thousands over 40 years restocking fish and purchasing various anti-heron devices. The only really successful deterrent was netting but I find traditional netting somewhat unsightly. 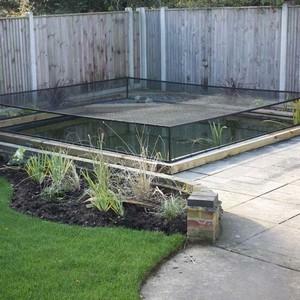 The raised pond cover is certainly conspicuous but not in any way unsightly and offers minimal interference to tall plants. I can, a tlast, approach my pond in the knowledge that no fish have disappeared over night! 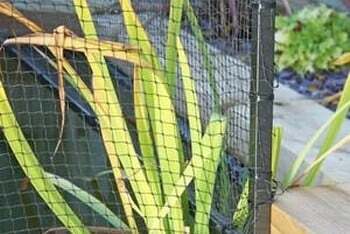 The raised pond cover works a treat at keeping the black backed gulls out of my pond who were wrecking plants and stealing fish. 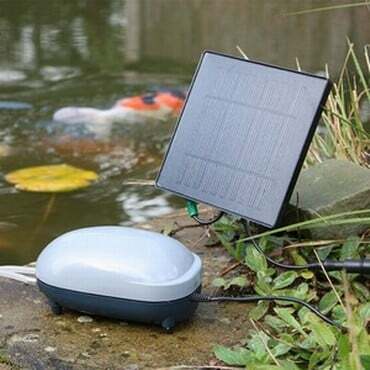 I never wanted to have a pond cover but the product is fairly unobtrusive and doesn't offend the eye too much. Fitting the net is a bit of a challenge otherwise easy to use all in all very satisfied. 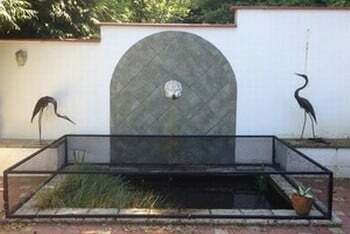 My pond was having Heron trouble I lost half my fish and the fish had become scared living at the bottom Now fish swimming much more happily , the cover looks smart in place . Took a bit on my own to fix it up just follow the netting instructions at first it looks like there isant enough netting but it stretches well .